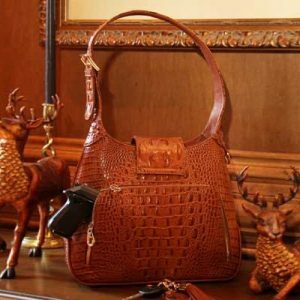 Concealed Carrie’s all leather ostrich printed tablet case is the perfect conceal and carry solution. 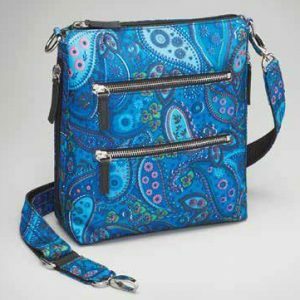 Double zippered compartment is filled with pockets and dividers allowing for personal, identification and wallet solutions. 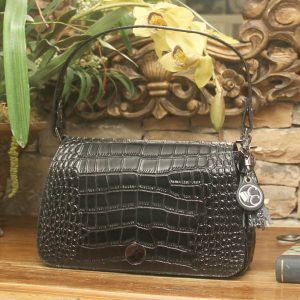 Concealed Carrie’s all leather ostrich printed tablet case is the perfect conceal and carry solution. 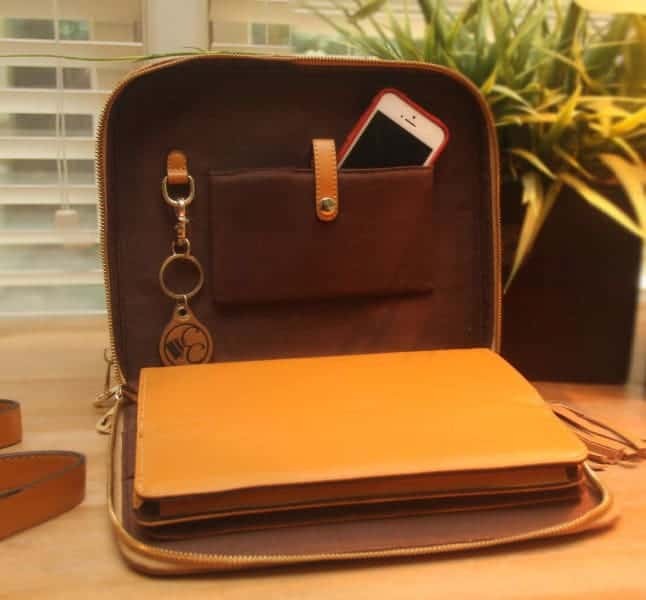 Double zippered compartment is filled with pockets and dividers allowing for personal, identification and wallet solutions. 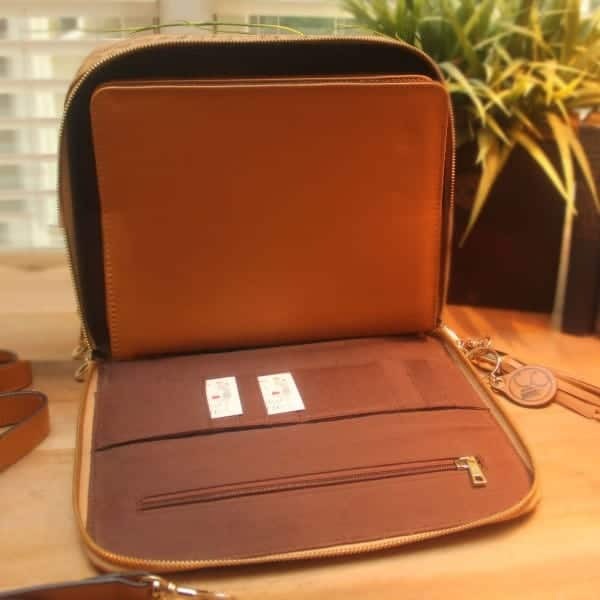 Smooth padded leather removable tablet case with hook and loop attachment easel easily props to two positions. 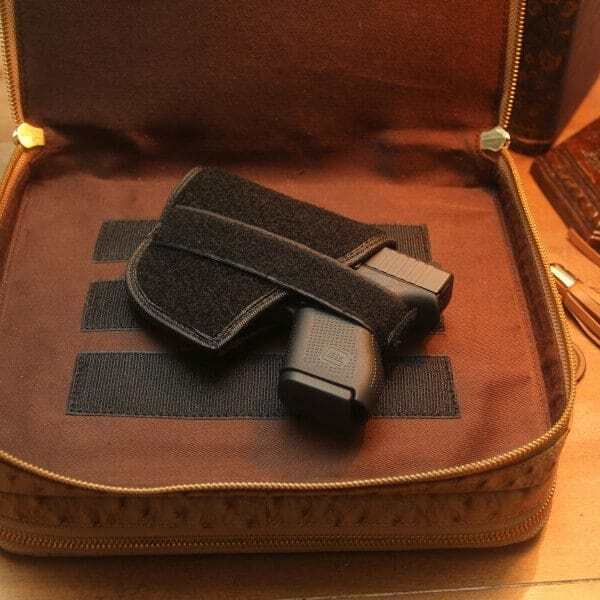 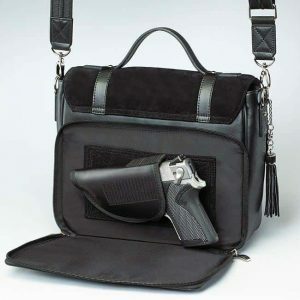 Additional double zippered conceal and carry compartment includes removable and adjustable universal holster for secured and easy ambidextrous access. 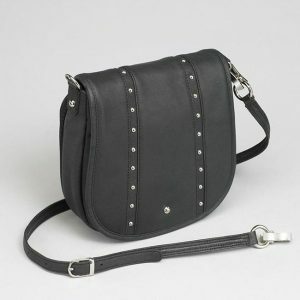 Exterior features removable and adjustable shoulder strap, retractable handle and additional document pocket. 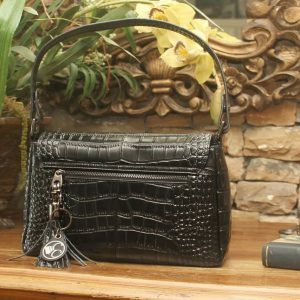 All Concealed Carrie handbags come with a Concealed Carrie key chain and fashion tassel. 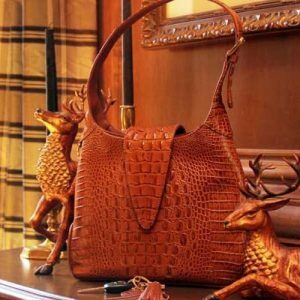 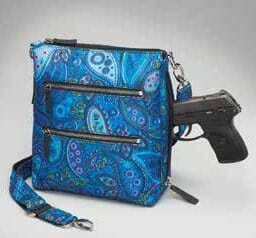 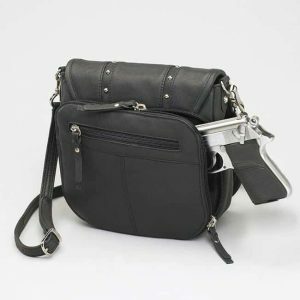 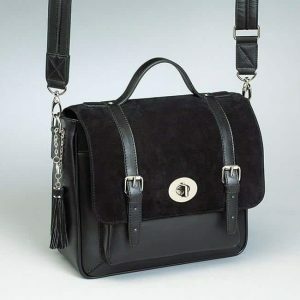 This handbag best accommodates any compact or sub-compact handgun and also securely holds Tasers, stun guns, pepper sprays and like forms of non-lethal self-defense products. 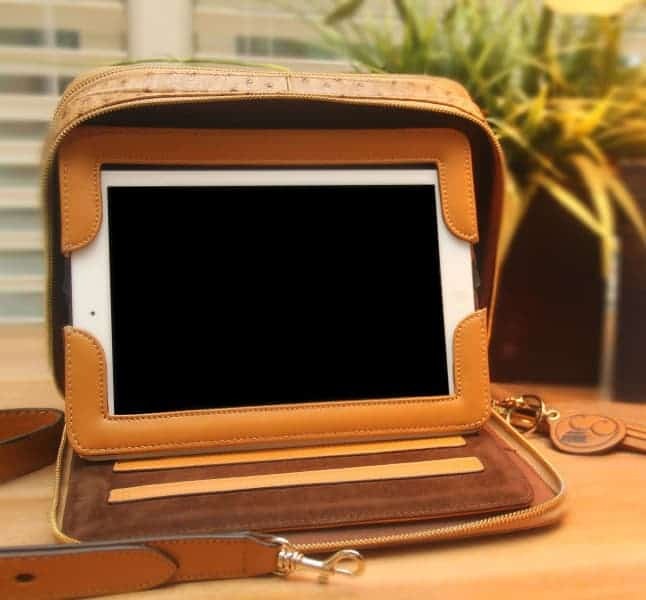 Fits IPad.